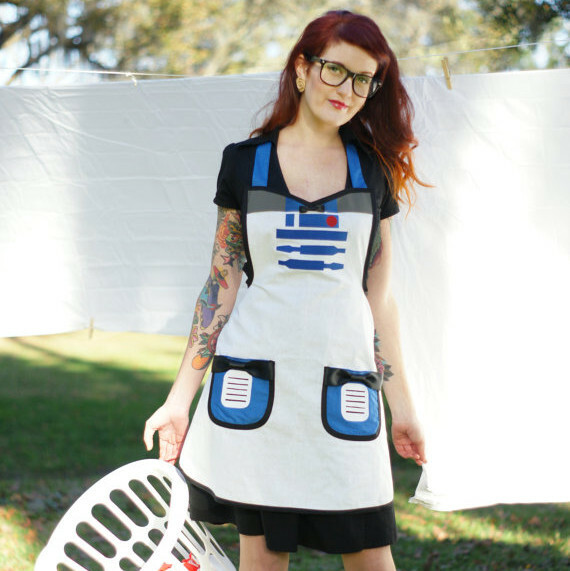 Etsy seller HauteMessThreads has a line of handmade aprons, including this one modeled after everyone’s favorite trashcan, R2D2. I wish I had an astro-mech droid to do my dirty work like laundries and ironing. Hah! Ironing. Like I give a f*** about wrinkles. I’ve got bigger fish to fry. I don’t even have running water! 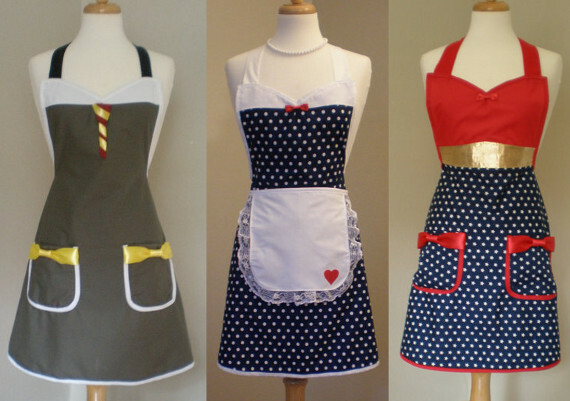 HauteMessThreads offers plenty more geeky aprons resembling the get-ups of C3PO, Darth Vader, Harry Potter, the Star Trek fleet, I Love Lucy, Minnie Mouse, Alice In Wonderland and many more. Each is worth a look, so follow the link to peep their entire selection. be sure to find Haute Mess Threads on fb for exclusive offers and giveaways! !